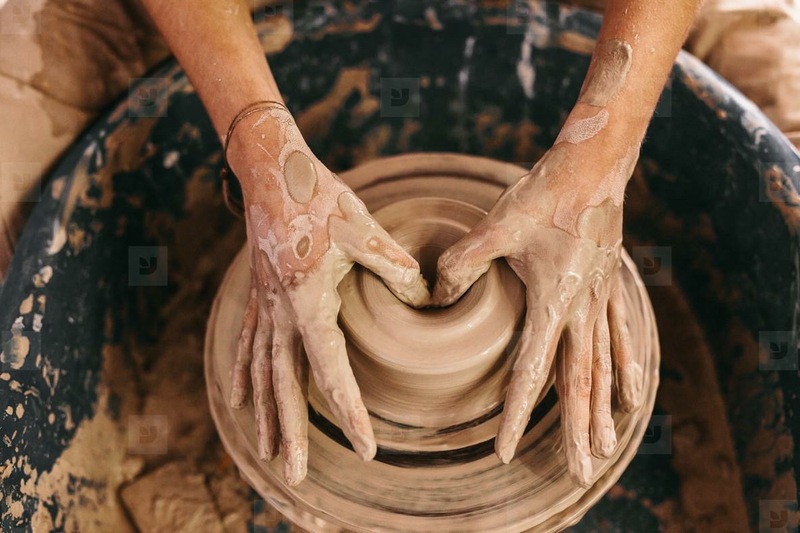 Paseo Pottery is a pottery-powered charity, joining the rank of a growing number of businesses embracing a radical form of conscious capitalism: cover costs, then donate rest to improve society. Our teachers volunteer their time and 100% of net profits go to charity. GROUP CLASSES: Join one of our group classes and come play in the studio with a fun group of fellow mud-lovers. Check our calendar for upcoming Date Night classes, Family classes, Girls Night Out classes, TGIF classes, and SUDS + MUD classes. Cost: $75 per person. PRIVATE CLASSES: Get your family, colleagues, or friends together and schedule a private class at a time that’s convenient for you. Cost: $75/person ($300 minimum). Looking for a fun experience in Santa Fe? Come play in the mud with a local ceramic artist! Join one of our group classes or schedule a private class at a time that’s convenient for you. Mornings, afternoons, and evenings are possible. The cost includes a two-hour class complete with libations and all materials, clay, glazes, and firing. Our teachers are volunteers, and 100% of net proceeds go to our non-profit beneficiaries. We start each pottery class by dolling out drinks (we’ve got a variety of beverages to choose from, and you’re welcome to BYOB as well). Then we take students on a tour of our pottery studio, which is housed inside a rustic adobe built in the early 1900s in the railyard district of Santa Fe and has been part of the Santa Fe art scene for nearly thirty years. The space includes a working ceramics studio and a retail gallery. In the studio, artists feverishly design and create—think muddy mayhem, whirling wheels, fiery kilns, and sundry clay-coated potting paraphernalia—while in the gallery finished pieces are displayed beneath the soft glow of farmhouse chandeliers. Classes are taught by volunteer artists including Angela Smith Kirkman, a ceramic artist with nearly 30 years of experience who specializes in rustic dinnerware influenced by years of travel. Angela recently returned from a journey around the world during which she hiked the Inca Trail, snuck into a communist headquarters in Bulgaria, rode camelback through the Sahara, caught the swine flu in Istanbul, was chased out of the Grand Mosque of Uqba, lived on a vineyard in Portugal, taught at a tribal school in Rajasthan, biked through floating markets of Thailand, and communed with snow monkeys in Japan. Angela has recently taken over Paseo Pottery and is excited to be launching its new charitable mission.